Connections, connections. It’s rare to meet someone who doesn’t have an Antarctic or Arctic link. On my way to Design by Nature, a beautiful art initiative by Matthew Cohen at The Brickworks, I met a woman who told me about a Canadian artist, Kate Hartman, who’s got ice on the brain. Design by Nature is an annual design competition that promotes innovative furniture and public art through a creative re-imagination of salvaged materials. As Matthew says, we want beautiful things but have to stop taking more and more from the planet. Seeing the re-purposed pieces made me think of my Antarctic book collaborator Wendy Trusler’s art and design work, ReWorks: for example, her flower vase made out of springs. Both Kate and Wendy studied at Ontario College of Art and Design (OCAD). “The Glacier Embracing Suit explores the avenue of “body” language and non-verbal communication. Intended for awkward introductory glacier encounters, it acts as an “ice breaker”, better enabling a person to lie prone on the surface of the glacier and give it a hug. 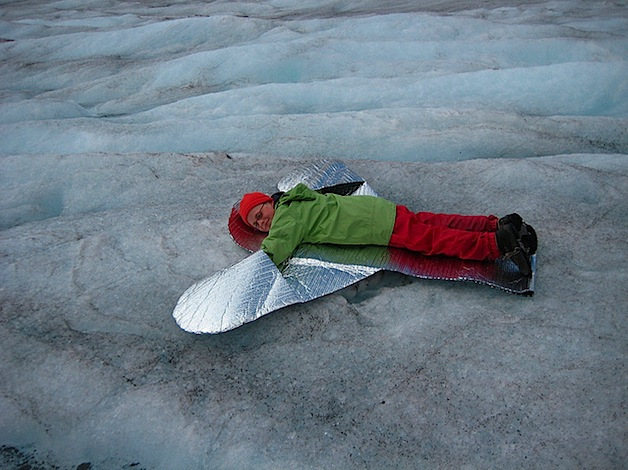 Worn on the front of the body, the reflective padded material serves to mediate the difference in temperatures between the human body and the glacial ice.” from Kate Hartman’s website [sorry links not working!]. Hartman explores human communication through wearable technologies. She sees glaciers icons of climate change. 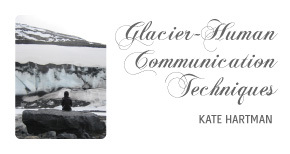 Kate did a Ted talk on the art of wearable communication in 2011. When I think of human-glacier connection I think crampons. 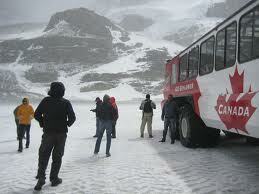 Now don’t you want to try the suit on and head to a glacier?